Having a small gathering, this beautiful Irish Pub gives your guest a great gathering place. Enjoy the drink of your choice in this lovely structure. 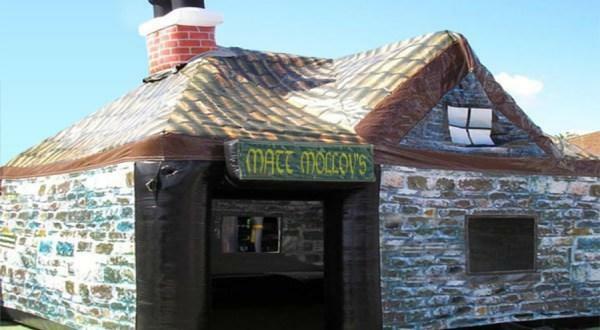 The Sampler Inflatable Pub, allows room for 20-25 guest or if you are host a beer tasting room to serve up your drinks. This beautiful pub measure 16' x 15' with one entry way into the pub. Contact us today to book. Dates filling fast.